Do you travel abroad a lot? – I am sure you must be hating to get charged insanely high for roaming internationally, and must be using VoIP services of some kind on your Android smartphones. But today, I have found even better solution that offers much cheaper services, and free international roaming while you are travelling. This app is called – VoX Mobile VoIP / SIP Phone App! 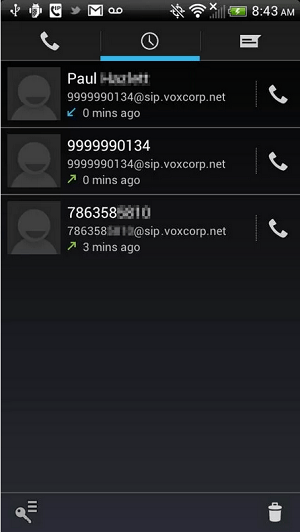 I have mentioned the important feature of calling on VoIP already, but VoX app will also let you call unlimited on your 3G/4g or WiFi to another user on VoX number just like the Skype. But the major difference between Skype and VoX is the much lower prices ‘On-The-Go’ plans by VoX. They also let you enjoy the restriction free 60 minutes of trial calling time, you can use to call any number of your choice, which is great way to try out the quality service Vox VooIP/SIP phone app on your smartphone. This app is compatible with all the present Android phones, and you can also alternatively manage your account online if you want to. 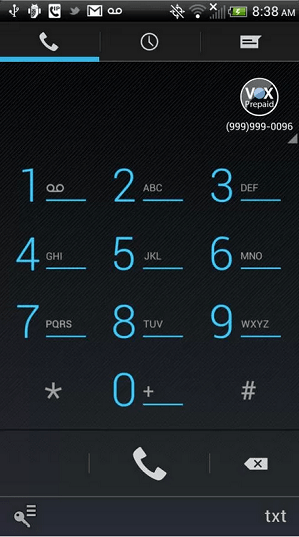 Just like your regular dialer pad, contact details, and messaging operates today on your smartphone, VoX app have all the features built inside its user interface. The UI is easy to use and very responsive on all smartphones and tablets powered by Android. VoX also let you make 3-Way call with other users, access Free voice mails and offer much better features than any other platform available out there. But most essential features I can tell are the unique VoX Mobile number you can use as your secondary phone and you can filter your specific calls the way you want. If used creatively, you can get rid of tele-marketing calls like this guy. 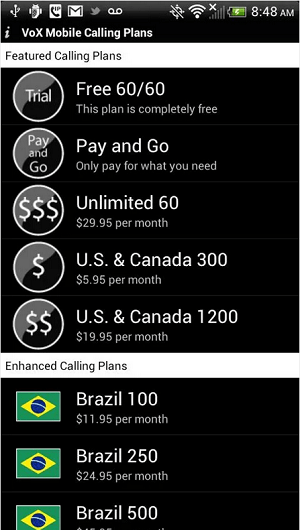 Also I do like to mention that there are extremely low call rates for countries like – India, Mexico, Brazil, Pakistan, Vietnam and the UK. Overall, this app is a must have for frequent travelers, who wan to carry secondary roaming free phone number for business or personal use. Even if you don’t travel that much, you can still own this app for free and enjoy its features.